In today’s Internet ADD world, online readers are skimming more and reading less. This forces bloggers (both corporate and personal) to write shorter posts which lead prospects to spend less time with your brand. Because each session with your brand is short, it takes longer to create a sense of attachment between your prospect and your brand. But with the average podcast lasting anywhere from 5-minutes to an hour, the prospect is making a bigger commitment to your brand and your content. Because podcasts are indexed and offered on platforms like iTunes, podcasts are in some instances more discoverable than text based content. The only way prospective buyers will find your text content is via a search engine or referral on social media networks. However, with platforms like iTunes and Stitcher channel surfing for new podcasts is easy. Thus, podcasting offers your brand the chance to be discovered by buyers that wouldn’t otherwise seek you out or consume your content. Your buyer is increasingly grappling with managing their most precious resource – time. One of the greatest benefits of a podcast is your buyers’ ability to consume it while doing something else. Increasingly people are listening to podcasts while driving to/from work, while working out or during the work day. 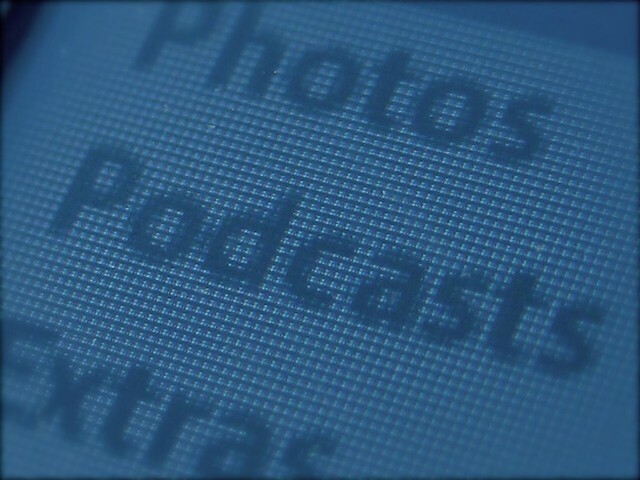 Thus, unlike text based and even video based content, which require your buyers’ undivided attention, podcasts can be consumed in the background. If you want to learn more about podcasting, including the tools, applications and techniques that professional podcasters use to create their podcasts, you’ll love Chapter 13 of The Invisible Sale, where I cover all of this and more. I am a strong advocate for podcasting. Now up to episode 97 I really see its benefit and value both to my own business and that of my clients. If I had to put my finger on it I’d say that the thing about podcasting that really works is that it enables leads and prospects to really get a sense of who you. Podcasts show who you are, whereas an About page on a blog merely tells. Great point Jon… agree that letting the prospect “see” your personality is one of the other great benefits of Podcasting. I actually spent a good bit of time discussing that in my new book, The Invisible Sale. Think we’ll see more folks “discover” podcasting this year and throughout 2014. This is why I podcast – you are so right. I’m surprised people even “read” blogs anymore. Multitasking is technically impossible, but so many people constantly multitask, especially at work or while online. Our attention is so divided that even when we read a blog post or article, because we have other tabs open or a text message alert going off and struggle to focus on a single task more than ever before, we aren’t engaging or really encoding the text information into our memories. Neurologically: Yes, podcasts are highly convenient because you can listen to them while doing virtually anything else — besides listening to music or conversing — without sacrificing performance of the other task! We drive and commute more now than at any point in U.S. history. You can’t read and drive. So get into podcasts.